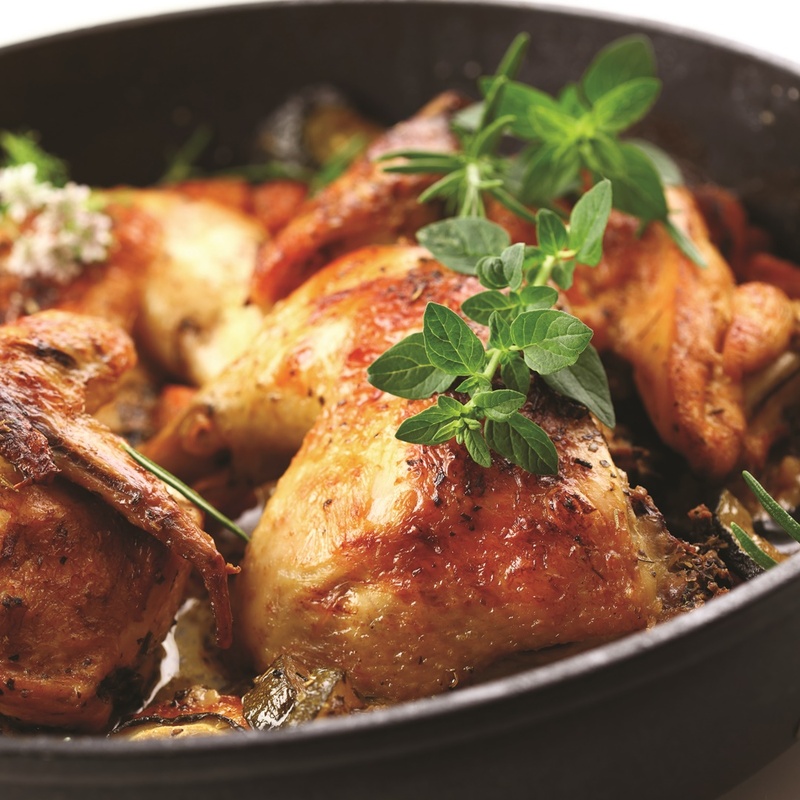 For those of you who express concern about the cost, flavor, difficulty or nutrition of allergy-friendly food, I offer recipes like this maple Dijon chicken dinner. 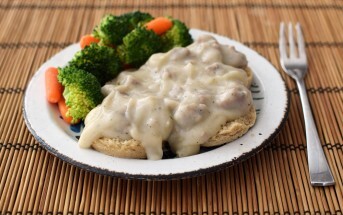 This recipe with photo for maple dijon chicken was shared with us by eatchicken.com. 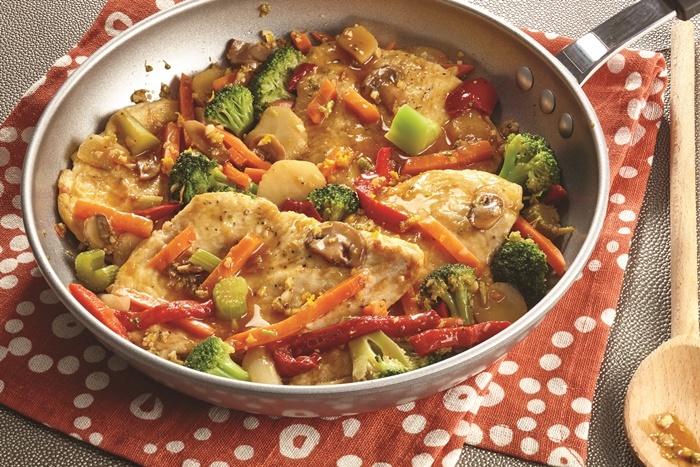 Like the dairy-free version of this Lemon Butter Chicken at Veggie Balance, all that you need is one pan, seasonal vegetables, inexpensive cuts of meat and a few seasonings. 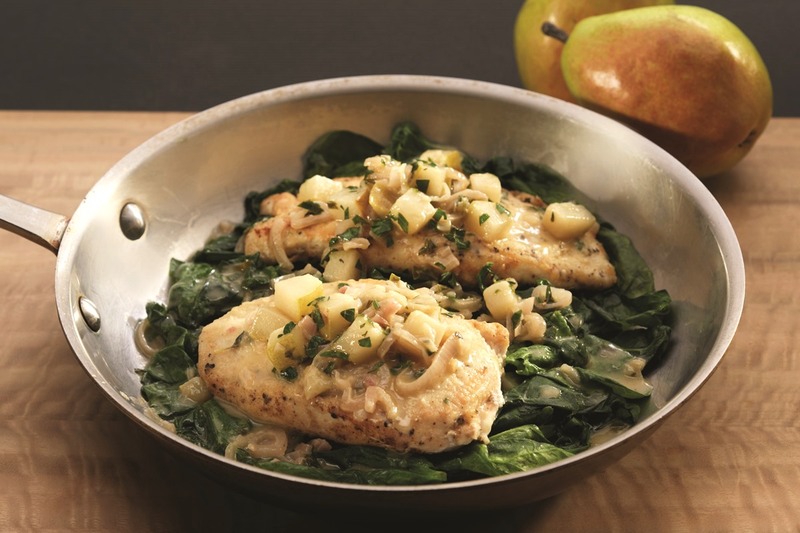 Then fire up the stove and make this easy, wholesome, delicious maple Dijon chicken dinner. The recipe below is naturally gluten-free, allergy-friendly, and even paleo-friendly, like this Paleo Meatloaf recipe I’ve been eyeing at Noshtastic. 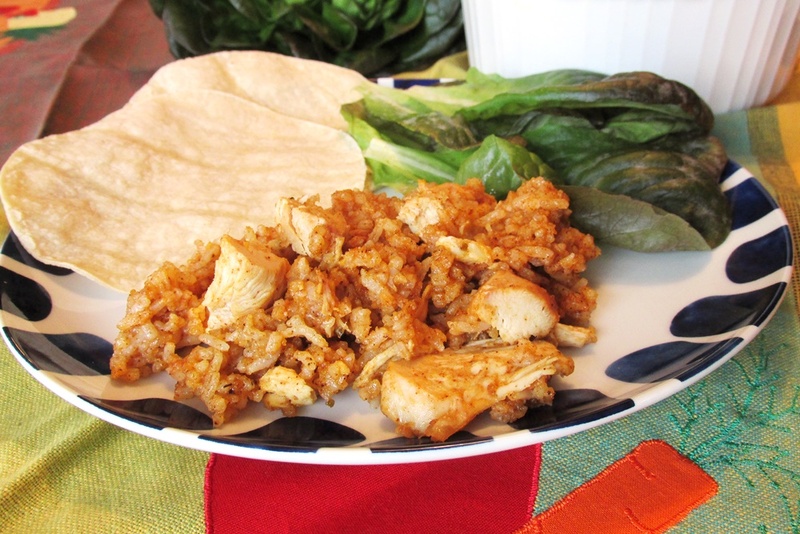 And did I mention that this chicken dinner is Low-FODMAP, too? Yes, a chicken dinner with no garlic and onions, to keep your tummy tame. 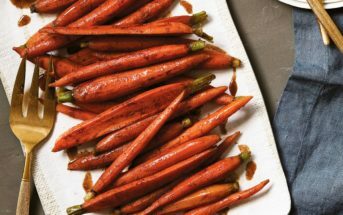 By ingredients, this recipe is dairy-free / non-dairy, egg-free, gluten-free, grain-free, nut-free, peanut-free, soy-free, optionally paleo, and generally top food allergy-friendly. In saute pan large enough to hold the chicken in single layer, heat the olive oil over medium-high heat. Season the chicken with the salt and pepper. Add the chicken to the pan, skin side down, and saute for about 4 to 5 minutes per side, or until the chicken is browned. Remove the chicken from the pan. Add the buttery spread or oil to the pan, and allow it to melt over medium heat. Add the sprouts and squash to the pan and saute, tossing occasionally, until the outsides are golden brown, about 3 to 4 minutes. Remove the vegetables from the pan. Turn the heat up to high and add the stock, maple syrup and mustard. Bring to a boil while stirring to scrape up the brown bits from the bottom of the pan. Add the chicken back to the pan, cover and reduce the heat to medium-low. 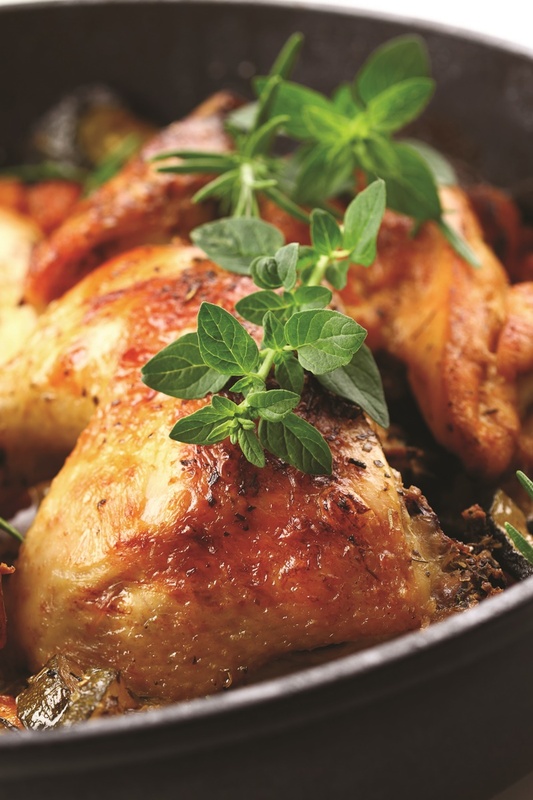 Cook for 20 to 25 minutes, or until the chicken registers 170ºF with instant read thermometer. Add the vegetables back to the pan, cover again and cook for another 8 to 10 minutes, or until the vegetables are tender. Remove the chicken and vegetables with a slotted spoon and divide among 4 plates. Turn the heat up to high and boil the sauce until it is reduced and slightly thickened, about 2 to 3 minutes. Spoon the sauce over the chicken to serve. This looks delicious! 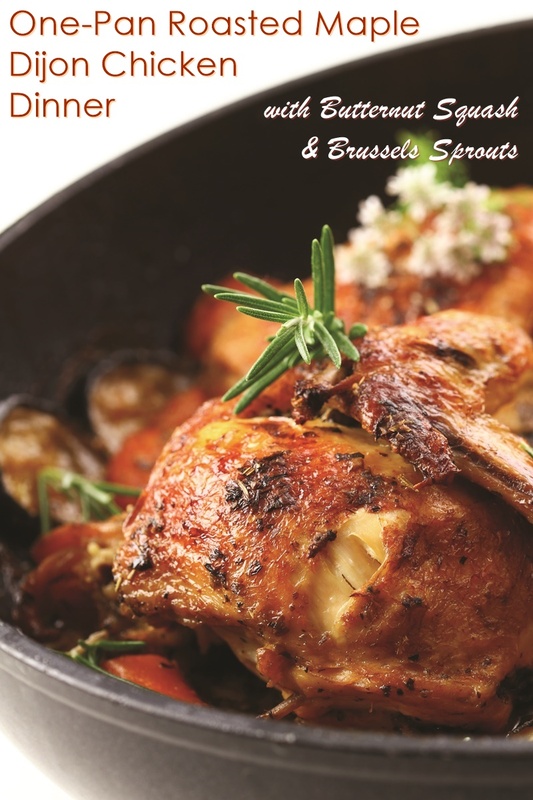 What would be a good substitute for the Brussels sprouts? I’m thinking about making this for my boyfriend’s birthday dinner, but neither of us like Brussels sprouts. I would go with another hearty cruciferous like broccoli or cauliflower Sarah. Well, there’s this recipe for starters Paula! Just use the search at top and search for “chicken”, “tofu”, “salmon”, “shrimp” and “fish”. You’ll find many main dishes that way. 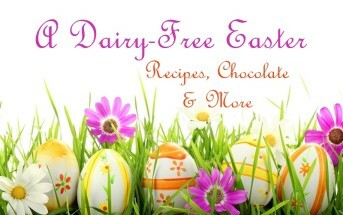 You can also check out our gluten-free index (everything on our site is dairy-free) for over a thousand recipe options – http://www.godairyfree.org/dairy-free-gluten-free-recipe-index – there should be many there that also fit with her other allergen avoidance requirements.